Have you ever had one of those mornings when you wake up thinking it’s going to be a wonderful day, and for a whole five minutes things are blissful and serene and then life comes along and add whole cup of chaos to the mix? That was my morning today! All I can say is that I am so thankful for my morning routine. Woke up, did my usual morning stuff before heading downstairs. Went back to the computer to see this…. Nice huh! Not even one sip of coffee and already the chaos was starting. It almost brought my morning to a standstill, because this is not the sort of problem ones want to wake up to. 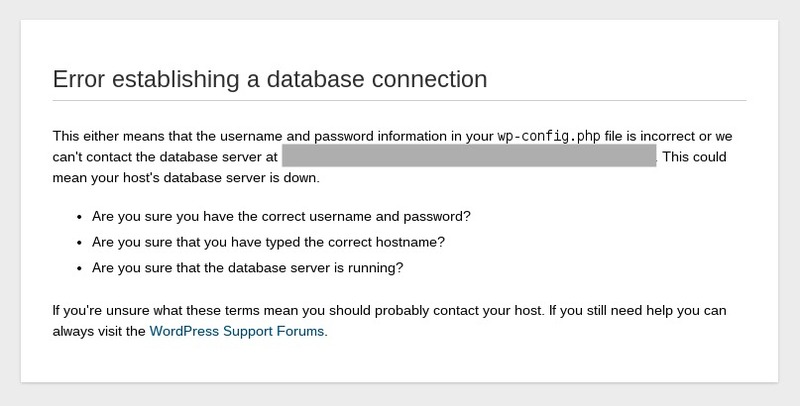 I sent out a plea of help to some of my blogger friends, and thanks to their advice I was able to rule out problems on my end, and was left with needing to call my hosting company. There was no way I could simply ignore it until the time was convenient for me, because support tickets take time to be seen and responded to. It could take the whole day to get this sorted it. Thankfully, our morning routine carried me through and despite having to spend time at the computer when I normally don’t. I was still able to make sure everyone was fed, clothed and out the door on time. It may seem like such a simple thing, but having routines that can carry you through a minor crisis can make or break your day. Out the door by 8:20. It’s a checklist, the only times are when I need to wake up Liam and when we need to be out the door. Our teen is fairly self-sufficient and he has his own routine in the mornings which I respect and try not to interfere with. Most of those items take only a few minutes to complete. Those are my MUST DO items. I can clean up from breakfast and lunch making later on if I don’t have time to do it in the mornings. Those items on my Housekeeping Checklist scheduled for the morning can wait until later. Having something in place though, really saved me this morning. Even though I spent around an hour working on troubleshooting the website, I was still able to get us ready and out the door on time. And for whatever reason we even made to Liam’s school earlier than usual, leaving him plenty of time to spare for him to play before class started. I know that summer vacation has already started or is starting soon, and for many of us, our mornings are about to get really relaxed, but give some thought to what your must do items are. Having a bare bones checklist of only needed things can end up saving you from those mornings when ‘life’ happens. 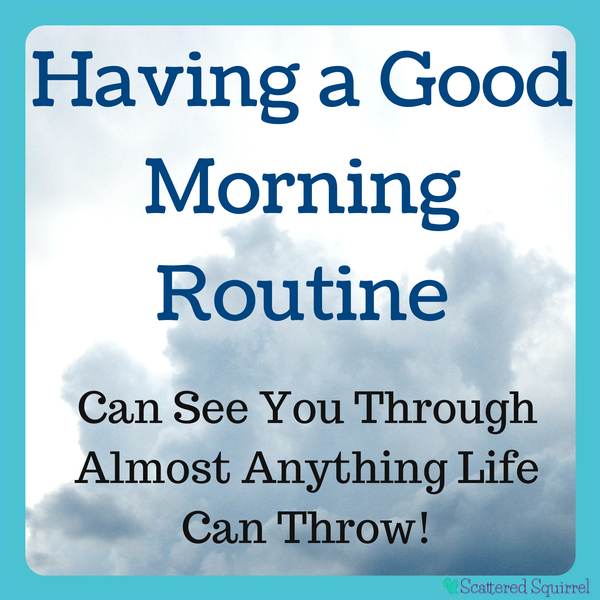 Has your morning routine ever saved the day? Do you have things you know you can skip when life throws you a curve ball?